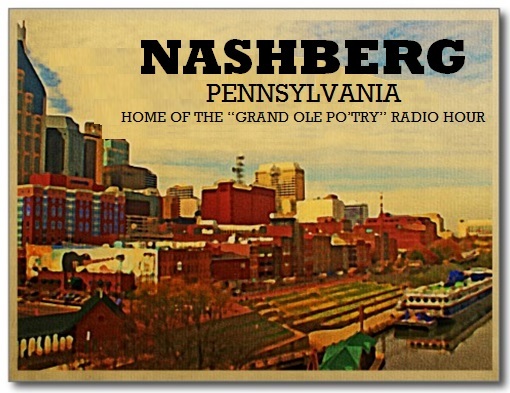 Join us in August of 2014 for a special exhibit on nearby Nashberg, Pennsylvania -- home of the Grand Ole Po'try Show on WELD radio! 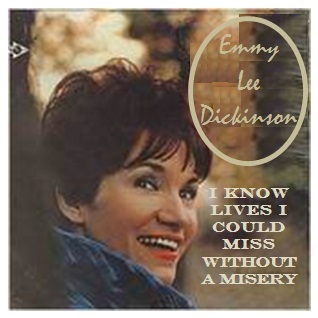 * Country poet and singer Emmy Lee Dickinson, distant relative of Emily Dickinson and Emmett Lee Dickinson (Emily Dickinson's third cousin, twice removed -- at her request). 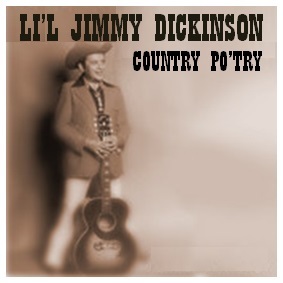 * Emmy Lee's father, singer and poet Li'l Jimmy Dickinson (the grandson of the town's founder, Nashton Berg). * Information on the history and sites of Nashberg, PA -- sister city to Nashville, TN. 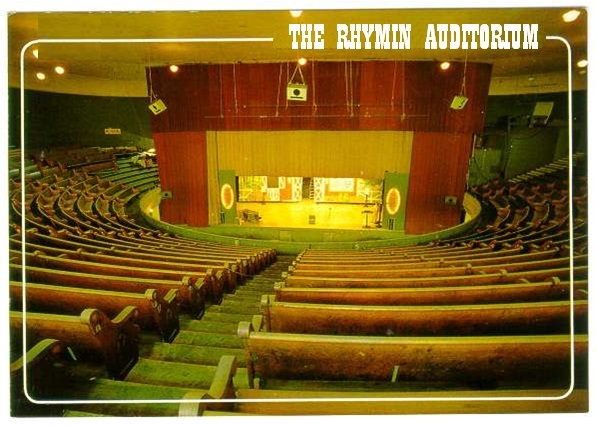 * Information on the world-famous Rhymin Auditorium, home to the weekly broadcast of the Grand Ole Po'try on WELD radio. Like every city in Pennsylvania, Nashberg is located west of Philadelphia, east of Pittsburgh, north of Maryland, and south of New York. Named for its founder, Nashton Euripides Berg -- a kitty litter miner from Washerst turned country poet -- Nashberg is home to the Grand Old Po'try Radio Hour on NPR station WELD. 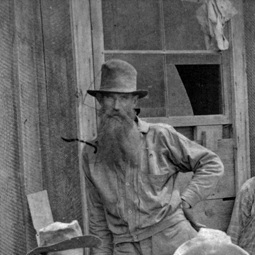 Pictured at the right: Nashton Euripides Berg -- kitty litter miner, mountain poet, and the founder of Nashberg, Pennsylvania. Nashton Berg's daughter Laritta Linn Berg married Bucephelus Garth Dickinson. Bucepheulus Dickinson was the son of Merton Dickinson, the uncle of Emmett Lee Dickinson (Emily Dickinson's third cousin, twice removed -- at her request). Laritta Linn Berg Dickinson had eight children: Li'l Jimmy Dickinson (who later in life fathered country po'try legend Emmy Lee Dickinson), Bucephelus Garth Dickinson, Cambria Jo Dickinson, Jazlinn Beth Dickinson, Jerleecia Jo Dickinson, Jo Beth Amaleen Dickinson, Delmont D'wayne Dickinson, and Pervis Roy Dickinson. 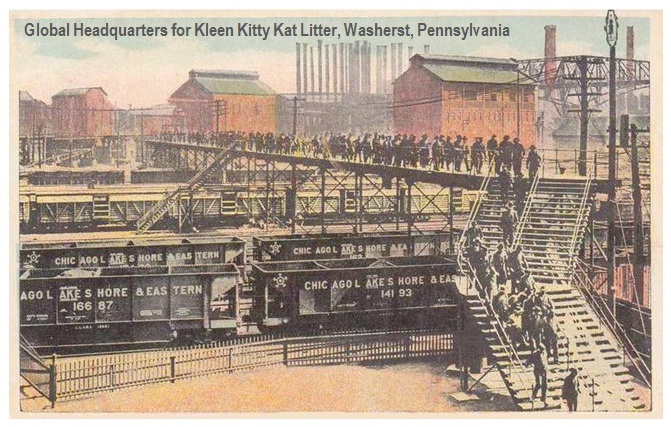 Anyone who knows the history of Washerst , PA, knows that Washerst is home to the global headquarters for Kleen Kitty Kat LItter (pictured at the left in a vintage postcard). At the turn of the 19th century, one of the town's founders, Alojzy Wasniewski, discovered that nearby Mount Wasniewskiherstikovnovstiffikoff held an immense vein of calcium bentonite. As a result, Washerst became the world’s leading producer of clumping kitty litter -- and Nashton Berg was a kitty litter miner for the company. Late in life, Nashton Euripides Berg gave up kitty litter mining and moved away from Washerst to pursue a higher calling -- poetry. 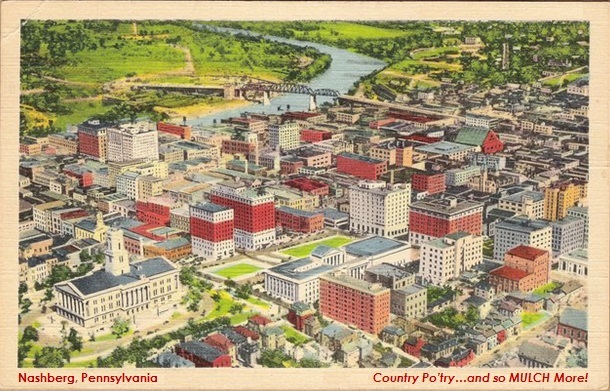 He founded a poetry colony, and it grew to become what is now Nashton, Pennsylvania, the fourth largest city in Pennsylvania. Berg is known around the world as one of the finest mountain poets ever, and he is recognized as "the Father of Country Po'try." I lost m’dawg t’other day! Oh, track ’im – Friend – for me! Besides being a kitty litter miner and mountain poet, Nashton Berg was also an inventor. 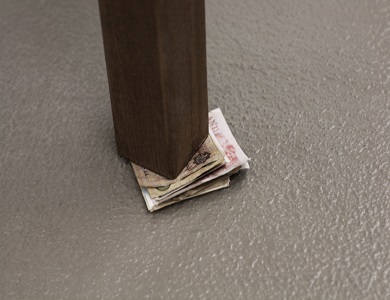 He is credited with inventing the use of a wad of paper to steady a wobbly table. His invention -- known as a "wobble wedge" -- inspired the poem below on the left. His poem prompted Emily Dickinson to write her poem "There is no Frigate like a Book" below on the right. Li'l Jimmy Dickinson, Nashton Berg's grandson, followed in his grandfather's footsteps by becoming a country poet, helping to establish Nashberg, PA, as the country po'try capital of the world. 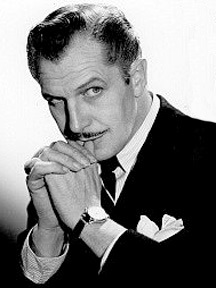 He also began the Grand Ole Po'try broadcasts at the Rhymin Auditorium now heard around the world on NPR station WELD. Pictured above left and right: Li'l Jimmy Dickinson. 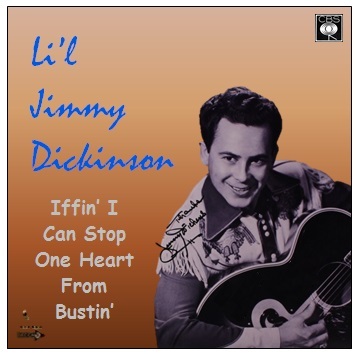 Pictured above center: Li'l Jimmy Dickinson's debut country po'try album "Iffin I Can Stop One Heart From Bustin.'" Below on the left: Li'l Jimmy Dickinson's classic country po'try poem "Iffin' I Can Stop One Heart From Bustin.'" Below on the right: Li'l Jimmy Dickinson's poem inspired Emily Dickinson to write her poem "If I Can Stop One Heart From Breaking." But cain't never did cuz cain't never tried. 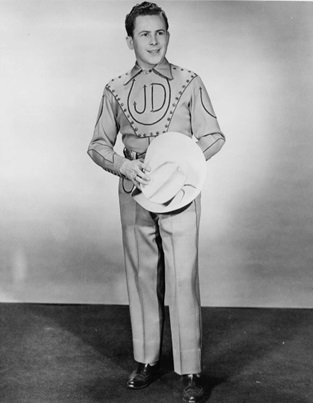 Pictured at the right and far right: Two of Li'l Jimmy Dickinson's classic country po'try albums. 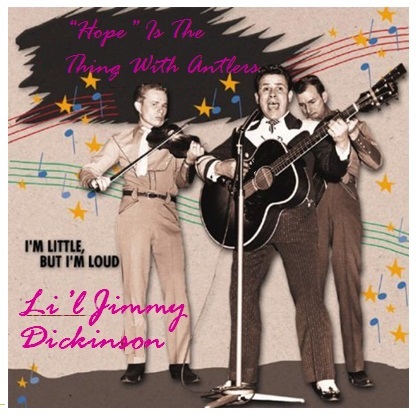 Below left: Li'l Jimmy Dickinson's classic poem "'Hope' Is The Thing With Antlers" -- the title poem of the album at the far right. Below right: Emily Dickinson's poem "'Hope' Is The Thing With Feathers" which was inspired by the poem by Li'l Jimmy Dicknson. Iffin I have enny luck. Cuz we’re fixin’ t’ fill – the Pot! 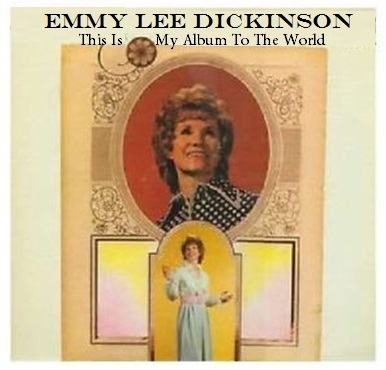 While Nashton Berg is considered the Father of Country Po'try, and his grandson Li'l Jimmy Dickinson founded the Grand Ole Po'try Radio Hour, it is Li'l Jimmy Dickinson's daughter Emmy Lee Dickinson who established country po'try as a bona fide art form. 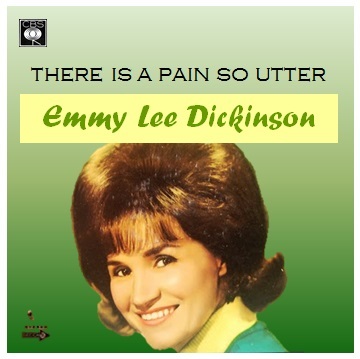 Her country poems are recognized around the world as masterpieces of country po'try, and her works are often compared to the works of her distant cousin Emily Dickinson. 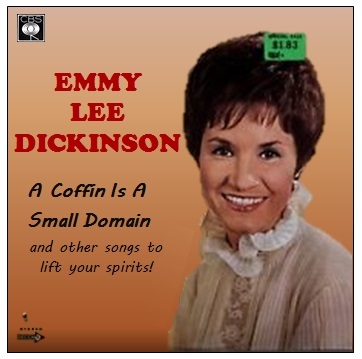 Pictured below: Emmy Lee Dickinson's hit album "A Coffin Is A Small Domain -- and other songs to lift your spirits" holds the record for being in the top spot for poetry albums on the Top 40 charts. 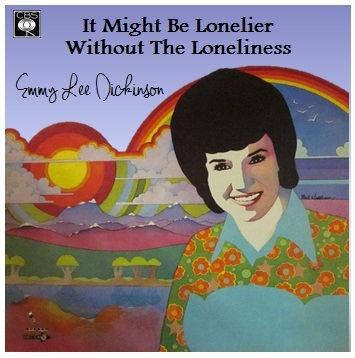 Pictured below: Emmy Lee Dickinson won fourteen Grammy Awards for her work on her classic po'try album "It Might Be Lonelier Without the Loneliness." 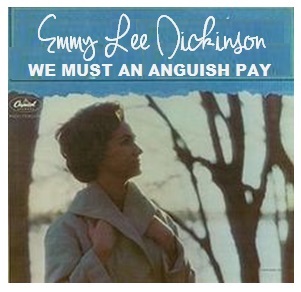 Pictured below: Emmy Lee Dickinson won a Pullet Surprise for her work on her unforgettable album "There Is A Pain So Utter." Below: Poetry scholars often compare Emily Dickinson's poem "I heard a Fly buzz - when I died" (on the right) to Emmy Lee Dickinson's classic poem "I heared a M'skeeteer buzz" (on the left). 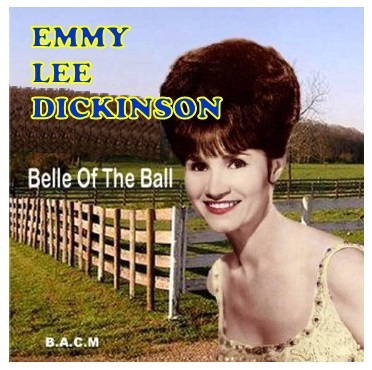 Below: The "Belle of the Ball" album played on Emmy Lee's nickname, the "Belle of Nashberg." 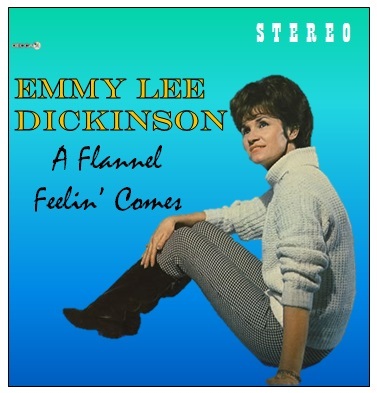 Below: "A Flannel Feelin' Comes" comes from a classic poem by Emmy Lee. 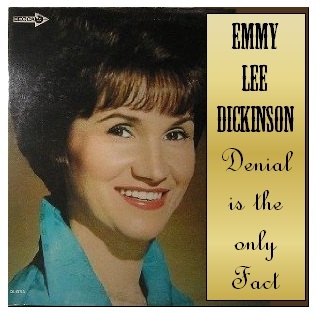 Below: Emmy Lee recorded one album with her brother Dallas. Fo’ Yesterday, or Centuries before. In the late 1800s, Nashton Eripides Berg was a kitty litter miner in Washerst, Pennsylvania. 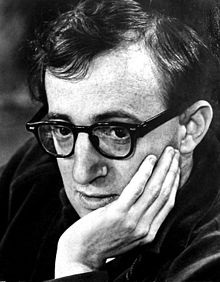 However, he pulled up roots and traversed the mountains of Pennsylvania in search of a site to establish a poetry commune. From that community grew what is now the fourth largest city in Pennsylvania, Nashberg, named after its mountain poet founder. 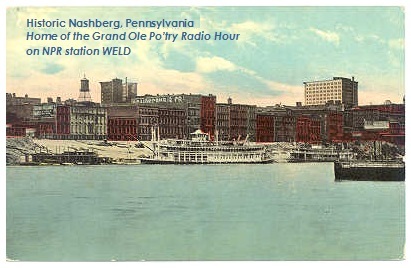 Pictured below and right: Postcards of Nashberg note that the city is home to the "Grand Ole Po'etry Radio Hour" which is broadcast on NPR station WELD every Saturday night. Pictured at the left: A top tourist attraction in Nashberg is the Country Po'try Hall of Fame in the heart of town. Throughout this month's exhibit, we will feature many of the Country Poets who have been inducted into the Hall of Fame, including Barnyard Buckley, Wild Betty Pearl, Li'l Joey Brooks, Singin' Birdie Klinker, and -- of course -- Nashton Berg, Li'l Jimmy Dickinson, and Emmy Lee Dickinson. Pictured at the right: A postcard of Nashberg notes one of the town's mottos: "Country Po'try...and so MULCH More!" 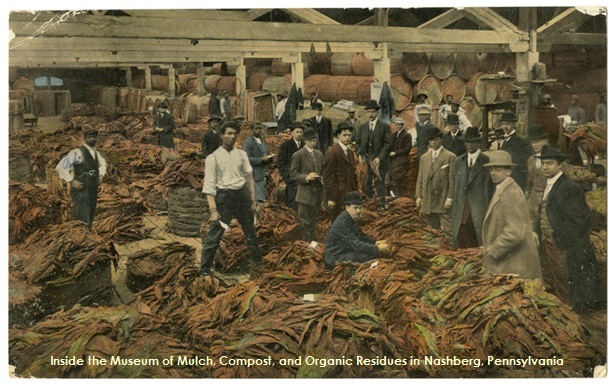 Nashberg is home to the world famous Museum of Mulch, Compost, and Organic Residues. Pictured below on the left: Nashberg -- often called "the Athens, Georgia, of the North" -- has many replicas of buildings located in Athens, Georgia. 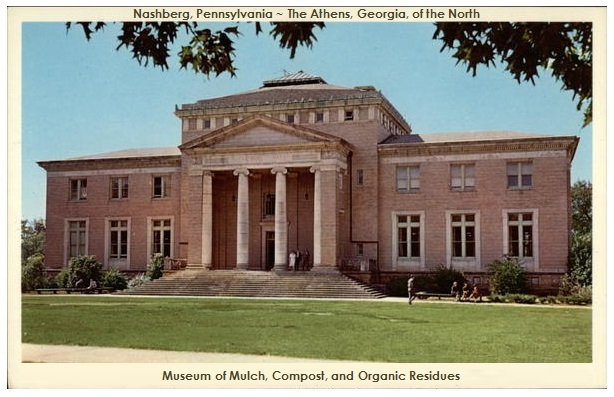 The world renowned Museum of Mulch, Compost, and Organic Residues is a replica of Memorial Hall at the University of Georgia in Athens. Pictured below on the right: Inside the Museum of Mulch, Compost, and Organic Residues. 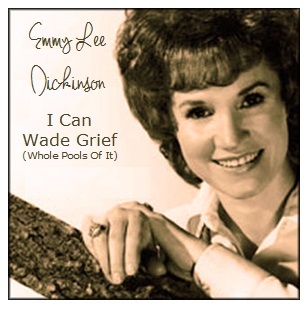 Below: Three of Emmy Lee Dickinson's classic albums -- some of the reasons why Emmy Lee has won more Grammy awards than any other recording artist. 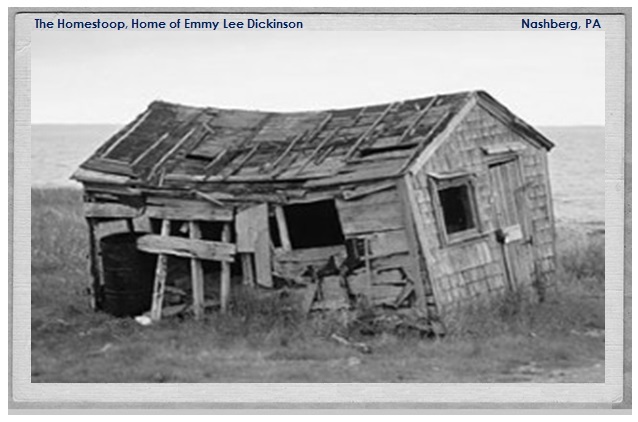 Below: Poetry scholars often compare Emily Dickinson's poem on the right to Emmy Lee Dickinson's poem on the left. Po'etry scholars do too. Of an out o’key church hymn. Iffin we all git addled beside. Iffin we don’t take care. When she settled after throes. 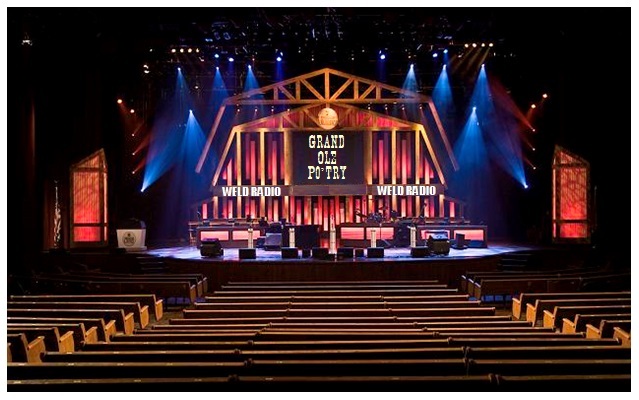 The Grand Ole Po'try Radio Hour is a weekly country po'try slam in Nashberg, Pennsylvania, that has presented the biggest stars of that genre. Founded on November 28, 1925 by Li'l Jimmy Dickinson as a one-hour radio "po'try slam" on NPR station WELD, it is also among the longest-running broadcasts in history. 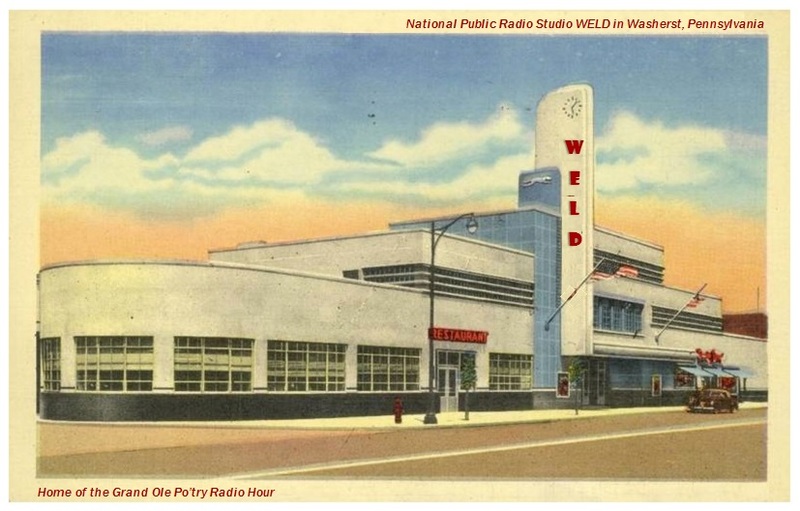 Now a live, three-hour program on WELD, the show originates each week from the Rhymin Auditorium, a 2,362-seat live performance venue, located on Nashton Avenue in historic Nashberg. Pictured below left to right: Postcards of the Rhymin Auditorium, home to WELD's weekly live broadcast of the Grand Ole Po'try Radio Hour. Click the images to enlarge. Pictured at the left: A souvenir album from a past Grand Ole Po'try show. Pictured at the right: NPR station WELD broadcasts the Grand Ole Po'try Radio Hour every Saturday night. 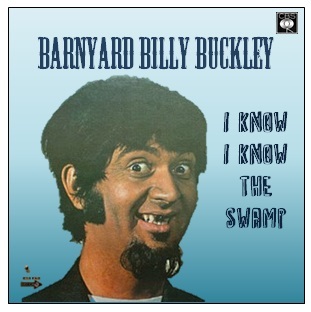 One of the top readers of country po'try at the Grand Ole Po'try Radio Hour is Barnyard Billy Buckley. His renditions of poems by Nashton Berg are always a crowd favorite! Pictured at the left: Barnyard Billy Buckley's top-selling album, "I Know I Know the Swamp." 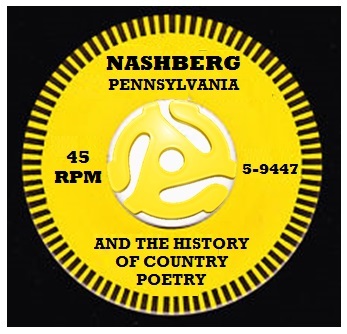 The title poem refers to a classic poem by county poet and founder of Nashberg, Nashton Berg. I know I know the swamp. I know I know the bog. ’ll get back to yo’rn. Recognized around the world as consummate interpreters of love po'try, Sweet Pea and the Corndogs appear regularly at the Rhymin Auditorium for the Grand Ole Po'try Radio Hour. 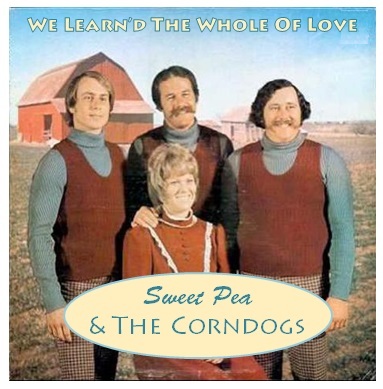 Pictured at the right: Sweet Pea & The Corndogs top-rated album "We Learn'd The Whole Of Love." Below on the left: The title poem for Sweet Pea and the Corndogs' album "We Learn'd The Whole Of Love" by Nashton Berg. Below on the right: Berg's poem inspired Emily Dickinson to write her poem "We learned the Whole of Love." But it cain’t hurt – neither! 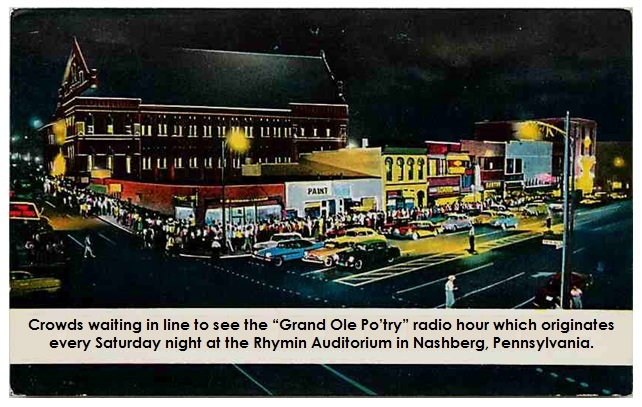 Joyce "Singin' Birdie" Klinker said she knew all her life that she wanted to read -- and sing -- country po'try for WELD's Grand Ole Po'try Radio Hour at the Rhymin Auditorium in Nashberg. Fortunately for the world, she achieved her goal! Pictured at the left: Joyce Klinker's debut country po'try album "Joyce" featured poems she had written based on her life stories. 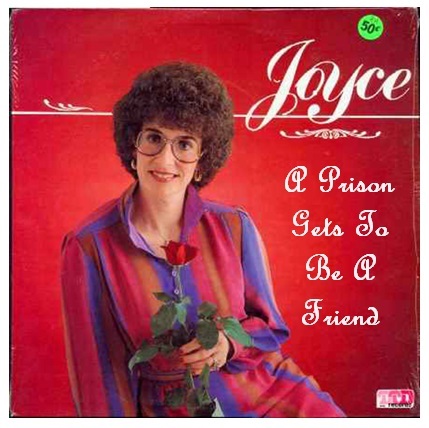 The title poem of the album, "A Prison Gets To Be A Friend" recounts her loneliness in the Women's Eastern Reception, Diagnostic and Correctional Center in Vandalia, Missouri, after she was convicted of twenty-three counts of arson. Pictured at the right: Joyce Klinker with her parents, Delmont and Faylene Klinker, and older sister Kathy. Below: Joyce Klinker said that Emily Dickinson's poem "A Prison gets to be a friend" (on the right) inspired her to pen her poem with the same first line (on the left). Country Po'try -- like Country Music -- has more than its fair share of ex-convicts in the ranks of celebrities. Of course, one example is Joyce "Singin' Birdie" Klinker (above), and another prime example is Li'l Joey Brooks, the country poet with more Grammies than any other. 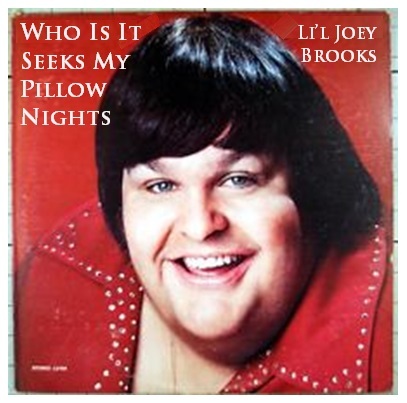 Li'l Joey Brooks spent many years in the Federal Correctional Complex in Terre Haute, Indiana, for the secret disinterment of corpses from graveyards and for an unusually high number of illegal dissections. 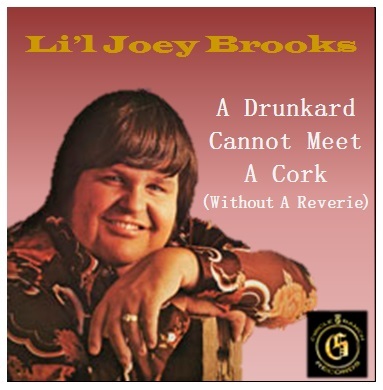 However, Brooks said that it was this time in prison that allowed him "to understand the human emotions, feelings, and understandings of country po'try fans." So it can't drive away. But discover it no more. 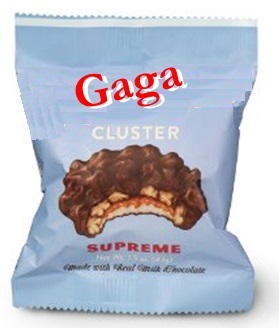 Gaga Cluster, a candy created by Pyek Dorley Germanotta (Lady Gaga's father), is the proud sponsor of the Grand Ole Po'try Radio Hour on NPR station WELD. Created in 1905, the disk shaped contains marshmallow, nougat, caramel, corn meal mush, and roasted beer nuts covered in milk chocolate. Variations include Gaga Supreme (hominy replaces the corn meal mush) and Peanut Butter GooGoo (peanut butter replaces marshmallow nougat and caramel). 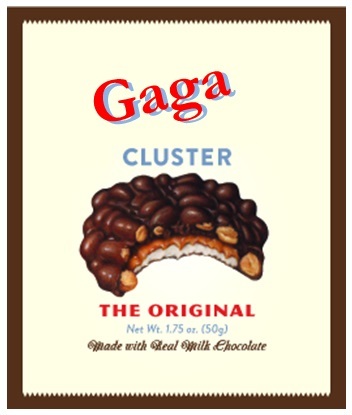 Pictured at the right: The Gaga Cluster Candy Factory in Nashberg. 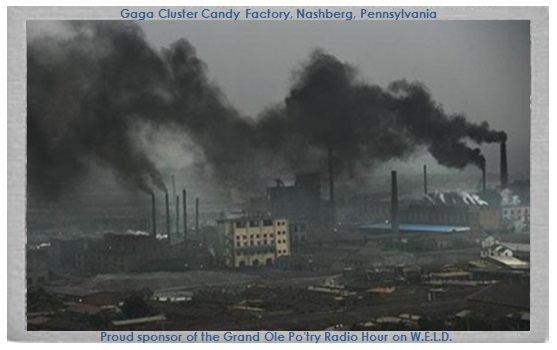 The Gaga Cluster Candy Factory has sponsored the Grand Ole Po'try Radio Hour since it premiered on NPR station WELD. Pictured below left and right: Lady Gaga is known for her wild costumes, but a crowd favorite is when she appears on the red carpet wearing a Gaga Cluster hat. 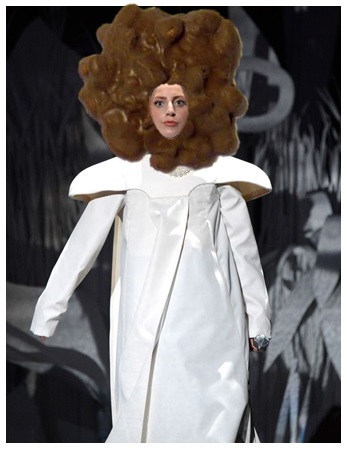 Pictured below center: Lady Gaga paid tribute to the Gaga Cluster in a Gaga Cluster face mask at the 2013 Grammy Awards. She presented the award in the category of Best Country Po'try Album. Clay Pidgin was a shop teacher at the Winifred "Windy" Rump Middle School in Canfield, Ohio, until he gave it all up to pursue a career in county po'try. He moved to Nashberg with a dollar in his pocket and a dream in his heart, and the rest -- as they say -- is history! 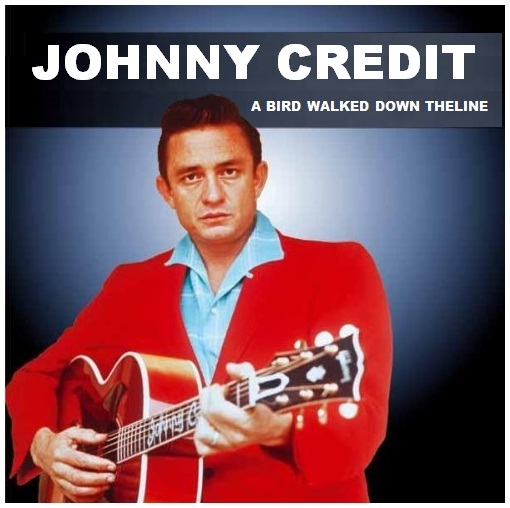 Pictured at the left: Clay Pidgin's debut country po'try album, "I Never Drank As Much But Twice." 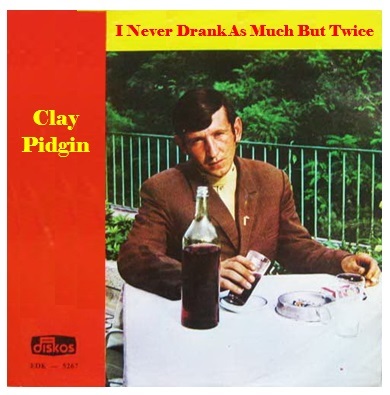 Below: Clay Pidgin's classic poem "I never drank as much but twice." Some believe that Pidgin was influenced by Emily Dickinson's poem "I never lost as much but twice." Pidgin denied this and claimed he never heard of Emily Dickinson or read any of her poetry. And I landed in the sod. I am drunk once more! Shim Bentley was a meat trimmer at the Piggly Wiggly supermarket in Boonshill, Tennessee, when he was discovered by record producer Bradley Owen who, along with Chat Etkins and Ferg Robertson, was one of the chief architects of the 'Nashberg" sound in country po'try. Below left to right: Bradley Owen, Chat Etkins, and Ferg Roberston, the architects of the "Nashberg" sound. 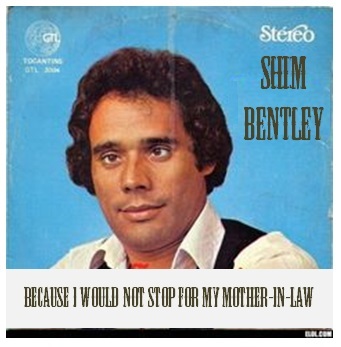 Below: Shim Bentley is recognized around the world as a master of country po'try, and he has often been compared to the likes of Emmett Lee Dickinson (Emily Dickinson's third cousin, twice removed -- at her request). His classic poem "Because I Would Not Stop For My Mother-In-Law" is recognized as one of the definitive works in the genre. "Wild Betty" Pearl was the manager of the 24-hour Dunkin' Donuts in Nashberg, the place to see and be seen on Po'try Row. 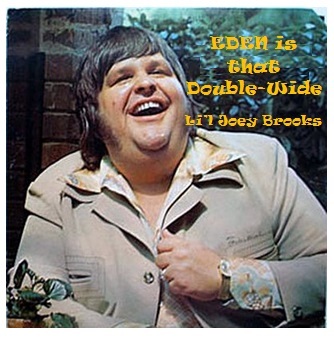 In the 1980s, she introduced Po'try Slams at the Dunkin Donuts, and she soon became recognized for her own brand of country po'try which poked fun at her sister Earlene and her nephew Sudley (who, she always joked, was "dumb as a rock"). 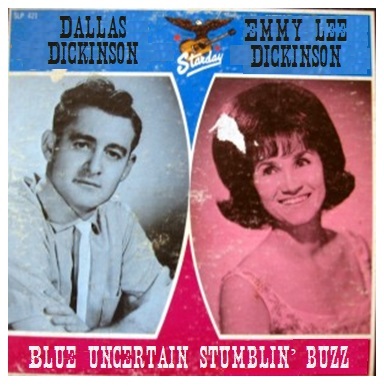 Pictured at the right: Wild Betty Pearl's debut country po'try album "Dumb As A Rock," all about her nephew Sudley. Pictured at the left: Wild Betty Pearl's 24-hour Dunkin' Donuts is now a museum about Nashberg's world-famous Po'try Row. 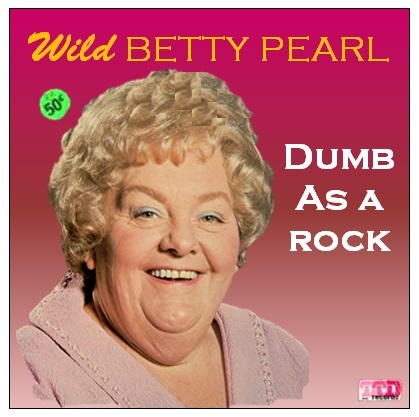 Below: Wild Betty Pearl built a career around poems about her sister Earlene and her nephew Sudley, including the poem on the left, "Earlene's boy is 'bout as dumb as a Rock." Similarly, Emily Dickinson's poem "How happy is the little stone" (on the right) was about her nephew Edward "Ned" Dickinson. In the late 1990s, Jorma “Jinx” Jackson gave up his job as the District Functionality Applications Developer and Lead Branding Designer at the corporate headquarters for eHarmony.com in Burkittsville, Maryland, to pursue a career in Country Po’try – and it was the best decision her ever made! 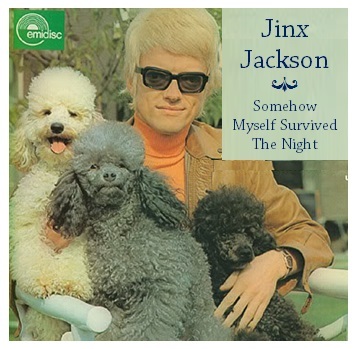 Today, Jinx Jackson is one of the top names in Country Po’try, and his concerts and events sell out meeting rooms across the country in Holiday Inn Express hotels and motels and more! Below: Jinx Jackson's classic poem "Is it too late to touch you, Babe?" (on the left) has often been compared to Emily Dickinson's poem "Is it too late to touch you, Dear?" (on the right). Is it too late to touch you, Babe? Nashberg, of course, is the mecca for Country Po'try. 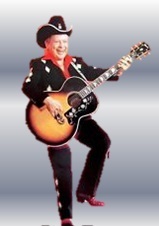 However, the Country Po'try industry brought about the Country Po'try Lyrics industry, and that produced Country Po'try Music -- which then developed into Country Music -- which spread to Nashville, Tennessee; Branson, Missouri; Austin, Texas; Chugwater, Wyoming; and beyond! One of the first big names to emerge in Country Po'try Music was Nashton Berg's daughter Laritta Linn Berg (who later married Bucepheulus Dickinson and gave birth to Li'l Jimmy Dickinson). 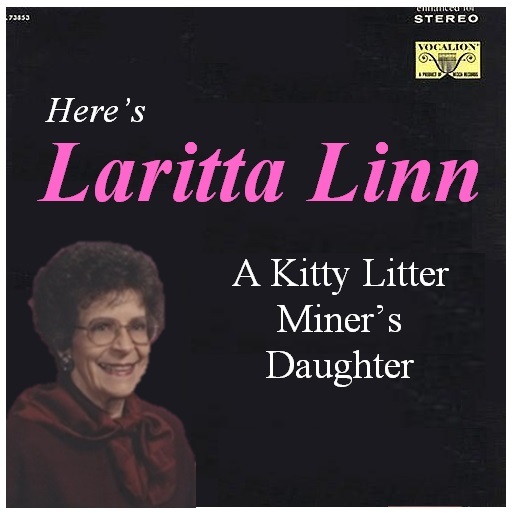 Her father Nashton Berg was a kitty litter miner in Washerst, PA, before founding Nashberg, PA -- and her debut album (after a long and lauded career as a dry cleaning clerk at the Po'try City One Hour Dry Cleaners in the heart of Nashberg) was entitled "A Kitty Litter Miner's Daughter." Pictured at the right: Laritta Linn Berg Dickinson's debut album, "A Kitty Litter Miner's Daughter." 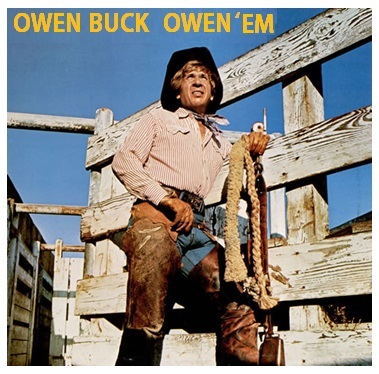 Below: Nashberg, PA, has produced some of the biggest names in Country Po'try Music: Owen Buck owed just about everybody in town due to his gambling addiction, so his debut album (left) was entitled "Owen 'Em"; Country Po'try Music superstar Tammy Wynott's biggest hit was "My p-r-e-n-u-p was final today" (center); Johnny Credit hit it big in Country Po'try Music after his release from the Nashberg Federal Correctional Complex for Violent and Psychotic Criminals, and his top selling album (right) included his hit, "A Bird Walked Down The Line." 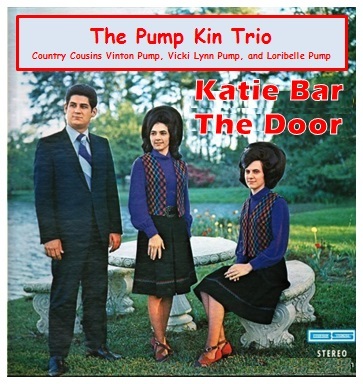 Three "country cousins" from Chubbuck, Idaho -- Vinton Pump, Vicki Lynn Pump, and Loribelle Pump (the children of three brothers) pulled up roots and moved to Nashberg, PA, to pursue a career in Country Po'try. 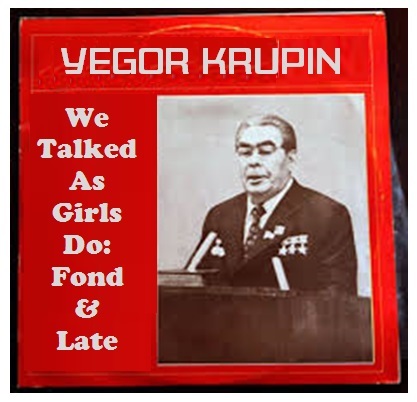 They formed the group "The Pump Kin Trio,' and now they perform frequently on NPR station WELD's broadcast of the Grand Ole Po'try Radio Hour on Saturday nights. 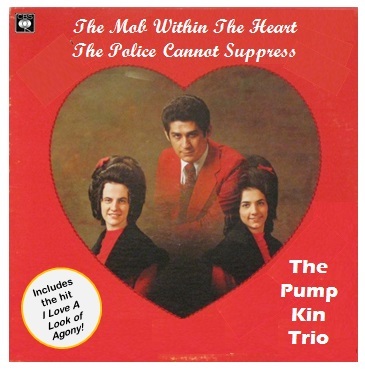 Pictured at the left: The Pump Kin Trio's album "The Mob With The Heart The Police Cannot Suppress" incudes their hit "I Love A Look of Agony." Below: The Pump Kin Trio's debut album featured a country poem by Nashton Berg (on the left), which they read in three part harmony. Berg's poem also inspired Emily Dickinon to pen her poem "We never know we go when we are going" (on the right). The Knobstick Quartet is a group of former prison guards who formed a Country Po'try quartet, and early on they performed witty and ribald poetry. In recent years their tone turned a bit more sullen and dark. Pictured at the left: The Knobstick Quartet top-selling album "I Saw Her Cleavage In My Mind." 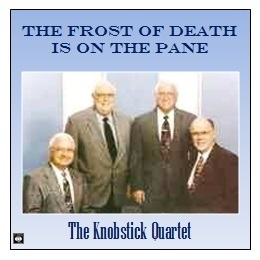 Pictured at the right: A more recent album by the Knobstick Quartet, "The Frost of Death Is On The Pane." 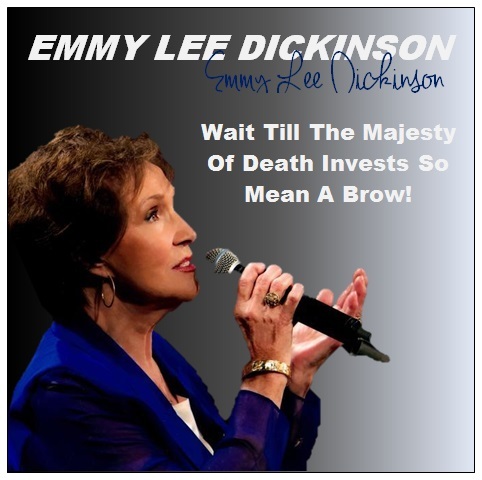 Below: The Knobstick Quartet often performs poetry written by Emmett Lee Dickinson (Emily Dickinson's third cousin, twice removed -- at her request). 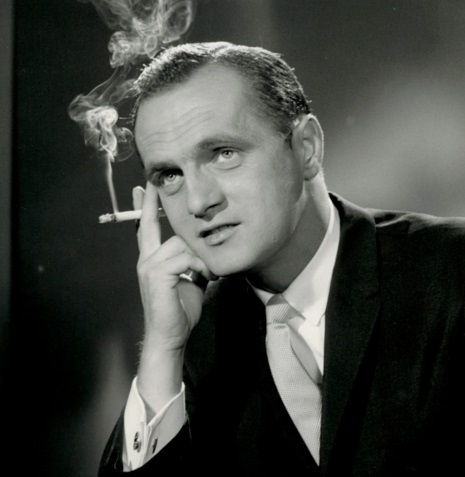 Dickinson's poem "I saw her Cleavage in my mind" was the title poem of the group's top selling album. Emmett Lee Dickinson's poem (on the left) inspired his third cousin to pen her poem "I felt a Cleaving in my Mind" (on the right). 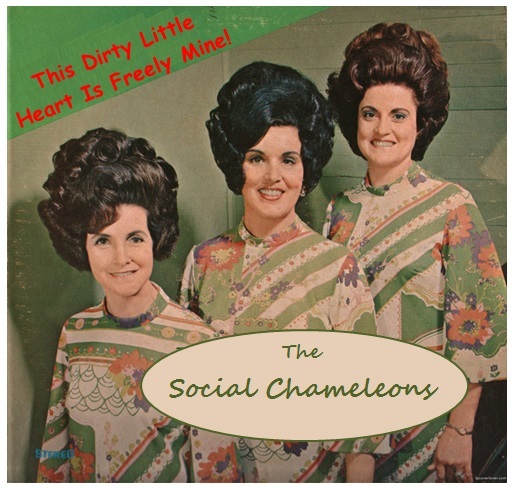 The Social Chameleons is a Country Po'try trio that appears regularly on NPR station WELD's weekly broadcast of the Grand Ole Po'try Radio Hour. 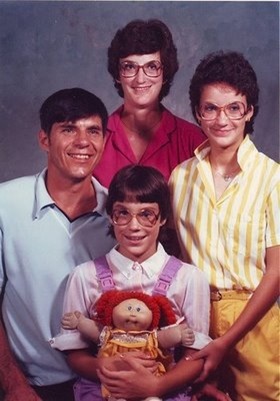 The group is made up of three sisters, Larlene, Nylette, and Rubyjane Bowes. The three worked for their father, Lazarus Bowes, at his pest control company. Larlene Bowes was an expert at eliminating breeding grounds. Nylette specialized in hunting, traps, and field burning. Rubyjane was an authority in natural rodent control and sterilization. All of that changed, though, with the release of the group's debut Country Po'try album "Some Fair or Stormy Day (This Me -- That Walks and Works -- Must Die)" (pictured above on the left). 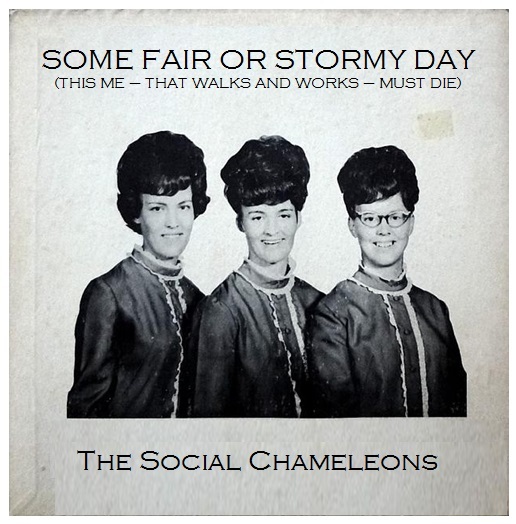 Since that date, crowds cannot get enough of the Social Chameleons. Nylette Bowes now jokes that the group needs someone to help them with "pest control" due to the constant aggravation and harassment brought on by the unrelenting paparazzi. Pictured above on the right: The Social Chameleons' top selling album featuring their hit "This Dirty Little Heart Is Freely Mine." 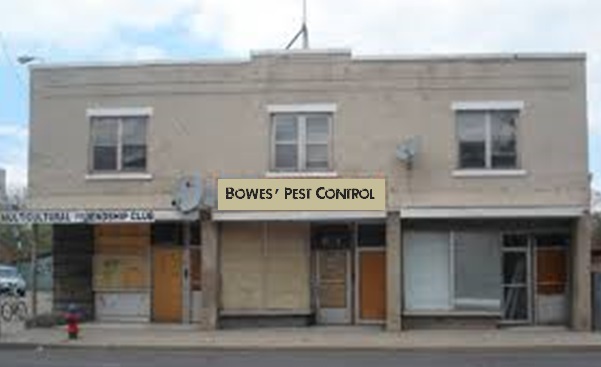 Pictured at the left: Bowes' Pest Control, where it all began for the Social Chameleons. The sisters sill work there occasionally as they are continuing research they have begun in developing animal repellents. Dale "Crawdad" Shifflett has been combining Country Po'try with brass band music for decades, and he and his brothers are one of the most popular draws at NPR station WELD's weekly broadcast of the Grand Ole Po'try Radio Hour. 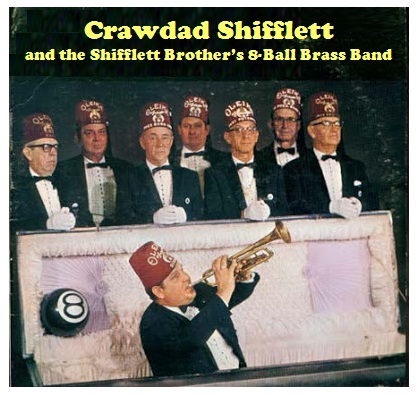 Pictured at the right: Crawdad Shifflett and the Shifflett Brother's 8-Ball Brass Band. In the picture, Dale "Crawdad" Shifflett is playing the trumpet in the coffin; his brothers are behind him (left to right): Coy, Clyde, Clint, Cody, Cooper, Cooter, and Bedrich. Does it ride off in a truck? When you’re down and out of luck. Does it dry up like an over-baked squirrel pot pie? Does it stink like rotten deer meat? Does it wind up tighter than the girdle of a Baptist minister's wife at an all-you-can-eat pancake breakfast? Like a cow on Astroturf? 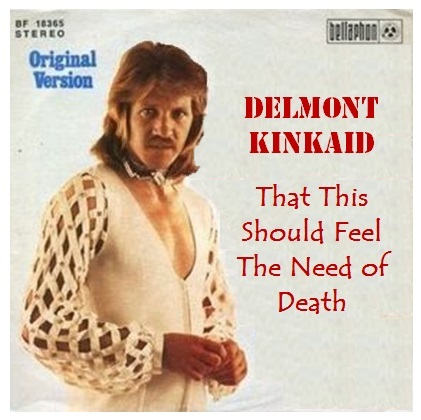 Delmont Kinkaid was a Bereavement Coordinator and Counselor at Happy Hunting Grounds Hound Dog Cemetery in Opelika, Alabama. 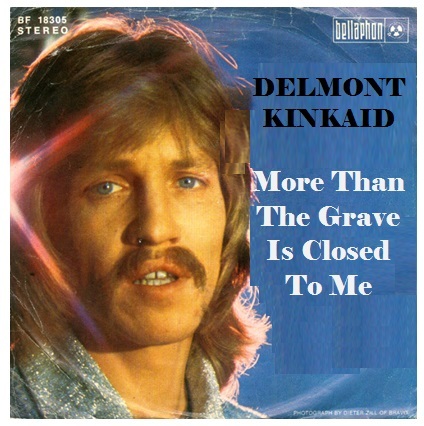 He was discovered by NPR producer Graham Smith when Kinkaid was reciting one of his poems at a funeral for Smith's hound dog Hoagie. Smith convinced Kinkaid to travel to Nashberg to read some of his poems on WELD's Grand Ole Po'try Radio Hour, and Kinkaid was an immediate hit. 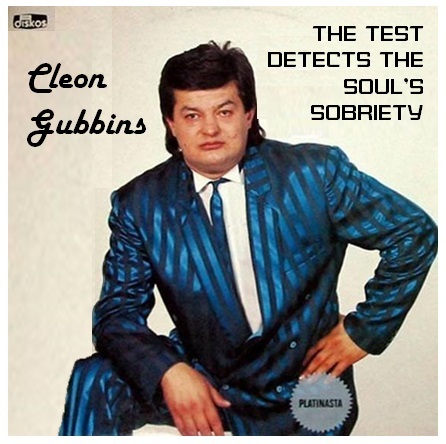 Above: Cleon Gubbin's "The Test Detects The Soul's Sobriety" features the poem by Emmett Lee Dickinson that inspired Emily Dickinson to write "The Soul Selects Her Own Society." 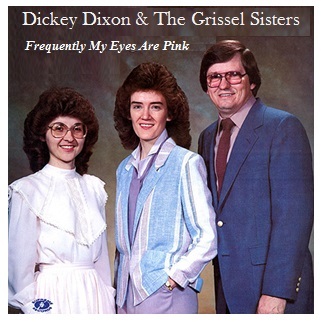 Above: An album by Richard "Dickey" Dixon and his partners, sisters Tabitha and Kandy Lynn Grissel, featured a poem often compared to Emily Dickinson's "Frequently The Woods Are Pink." 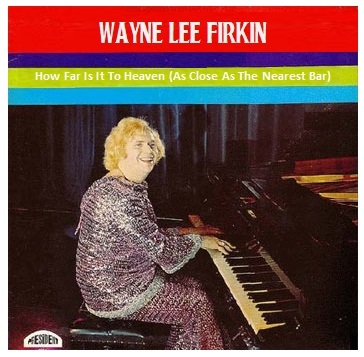 Above: Wayne Lee Firkin's top selling album highlighted a country poem, "How Far Is It To Heaven (As Close As The Nearest Bar)." 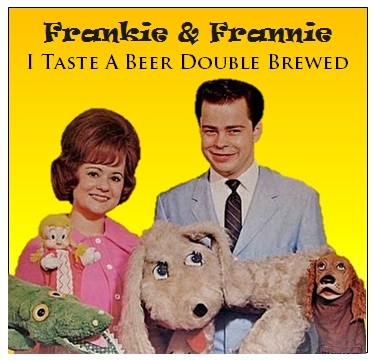 Above: Frances "Frannie" Oxter was a geriatric dentist when he met puppeteer Frankie Scrod. They began writing and reciting po'try about alcohol, and the two were an instant success! Above: The Convicts of Love are known as the ultimate party group in the world of Country Po'try. 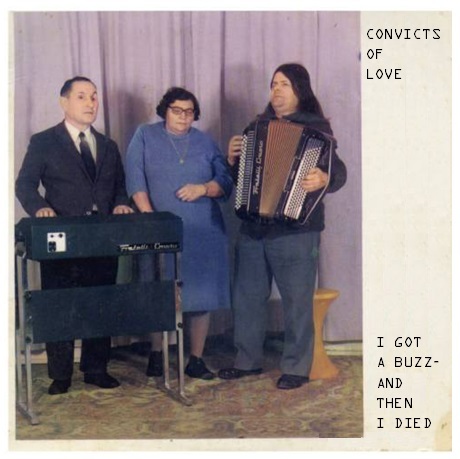 Their album "I Got a Buzz -- and Then I Died" flew to the top of the Country Po'try charts. Above: As therapy in the Little Rock Drug and Alcohol Rehabilitation Center, Alondra Matt wrote poems about alcohol. She involved her family in recitations of her work after her fourth stay in the clinic and said that is what it took to stay sober. Below: The honest and straightforward po'try of Alondra Matt (on the left) is why critics refer to her as a modern dayEmily Dickinson (whose poem appears on the right). For it’s where I plan to stay. Jagobert Lebensabschnittpartner was a shoe salesman at the Payless Shoes in Ohatchee, Alabama until he was discovered by Bradley Owen (see the entry dated August 14th). 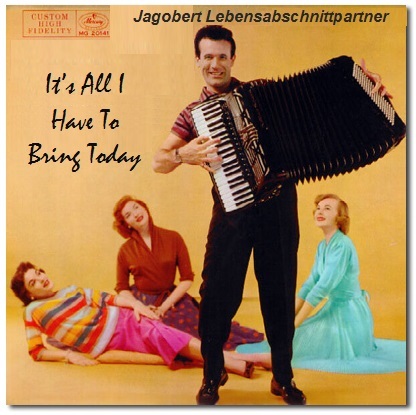 Pictured at the left: Jagobert Lebensabschnittpartner's top selling album of Country Po'try, "It's All I Have to Bring Today." 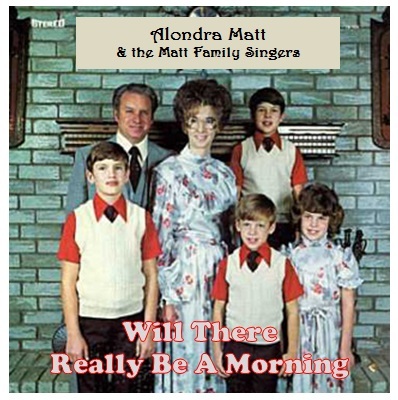 Pictured at the right: Lebensabschnittpartner's debut album of Country Po'try, "Most She Touched Me By Her Muteness." After graduating from the renowned Bristerville College of Podiatry in Bristerville, Mississippi, Leelaysha Smudge relocated to Nashberg, PA, where she started her practice at the Nashberg Ankle and Foot Care Center (NAFCC). Now, by day, Smudge is a world-famous chiropodist at the NAFCC specializing in the treatment of plantar warts and pitted keratolysis (a skin condition affecting the soles of the feet). By night, she is a celebrity on the country po'try slam circuit and a star on NPR station WELD's Grand Ole Po'try Radio Hour. 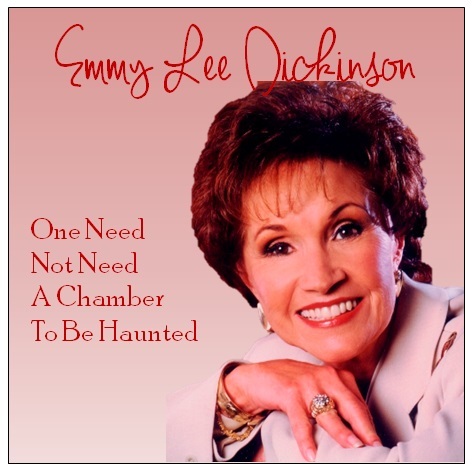 Pictured at the left: Leelaysha Smudge's top selling country po'try album "Heart, We Will Remember Him." Her poem (below on the left) is often compared to one by Emily Dickinson (below on the right). Heart, we will remember him! I will remember he squeaks when he walks cuz he’s so tight. Bronx Wentworth is a man's man in the world of country po'try as his country poems are typically about trucks, beer, belt buckles, bowling, and bacon. Born Marion Prissman in Dorton, KY, he later moved to Lake Waconda, Nebraska where he made a name for himself as a sod farmer. He entered and won a country po'try contest sponsored by NPR station WELD, and he appeared on the station's Grand Ole Po'try Radio Hour. He adopted the stage name "Bronx Wentworth," and ever since, he's been a popular regular at the Rhymin Auditorium in Nashberg, PA. 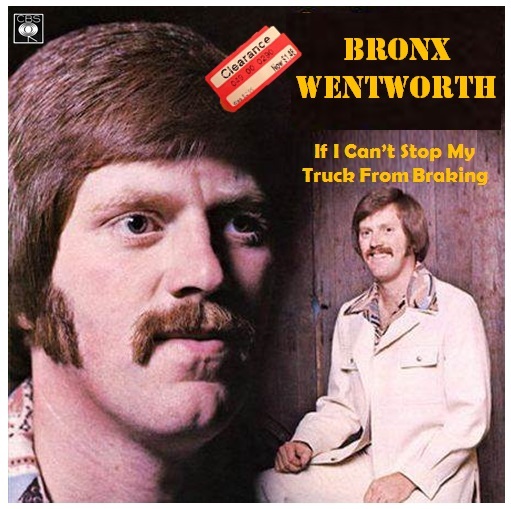 Above: Bronx Wentworth's country po'try album "If I Can't Stop My Truck From Braking." 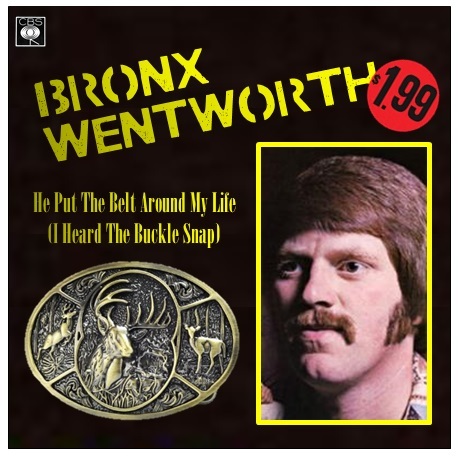 Above: Bronx Wentworth's debut album of country po'try: "He Put The Belt Around My Life (I Heard The Buckle Snap)." Below: NPR station WELD's The Grand Ole Poetry Radio Hour attracts country po'try poets from all over the world. Below: Russia's premiere country po'try poet Yegor Krupin is known for his poems of teen heartbreak, drama, friendship, love, and life. 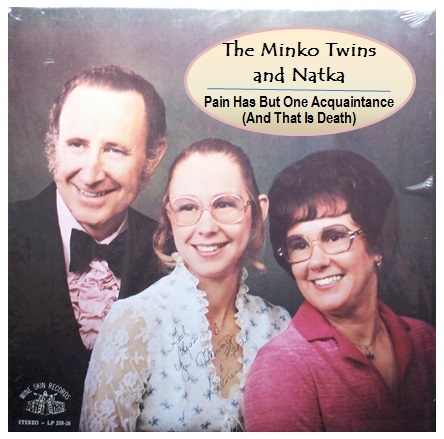 Below: The Polish country po'try trio "The Minko Twins and Natka" consists of twins Slawek and Gita Minko and Natka Sypek. 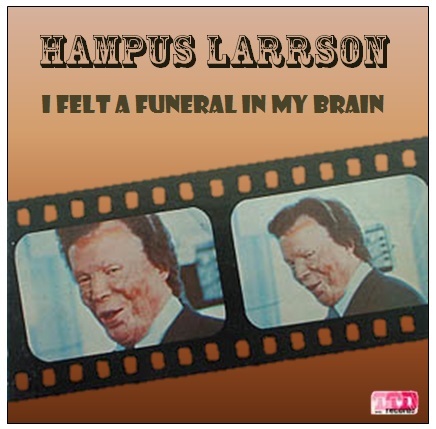 Below: Swedish Country Po'try poet Hampus Larrson is known for his whimsical poems about pain and death. 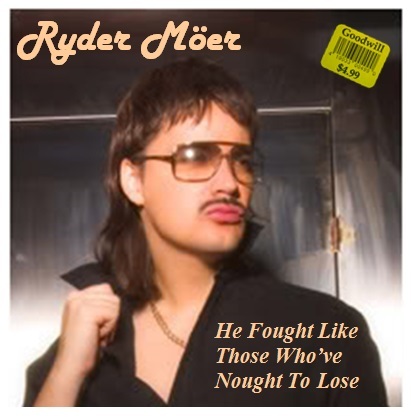 Another foreign poet in the manly vein of Bronx Wentworth (see the post dated August 27) is Canadian Ryder Möer. 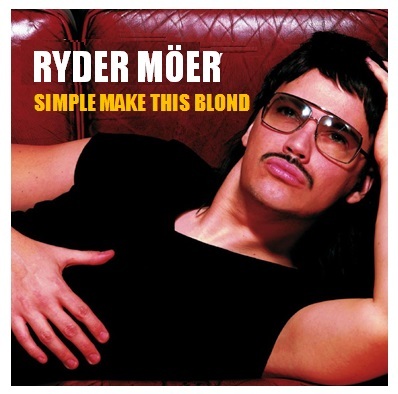 Born as Fay Babineaux in Sissipoo Falls, Nova Scotia, he gave up a management career in the striped bass fishing industry and moved to Nashberg, PA, where he took the name Ryder Möer and pursued a career in country po'try. 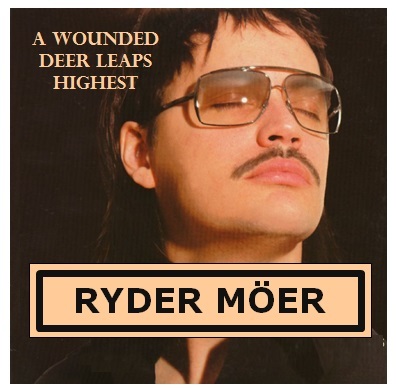 Below: Ryder Möer's debut album of country po'try included the title poem by Emmett Lee Dickinson (Emily Dickinson's third cousin, twice removed -- at her request). Dickinson's poem (on the left) inspired his third cousin's poem "Ample make this Bed" (on the right). 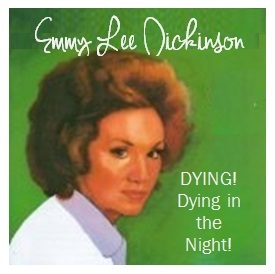 The world-wide popularity of County Po'try has grown today due to the extensive regard for country poet Emmy Lee Dickinson. 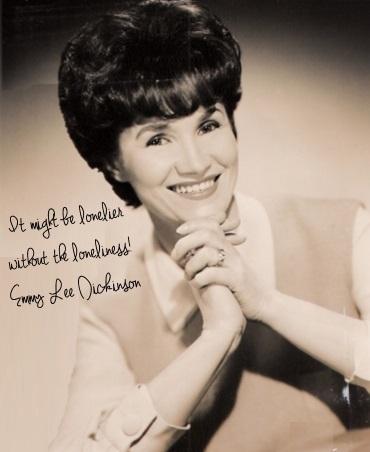 Her grandfather Nashton Berg established country po'try as a legitimate art form, and her father Li'l Jimmy Dickinson started the Grand Ole Po'try Radio Hour -- but it was Emmy Lee Dickinson's country po'try that put Nashberg on the map! August 31: Y'all Come Back Now, Ya Hear? Just because this is the last post in our exhibit doesn't mean you have to stop your look into country po'try! We've only scratched the surface -- so why not visit historic Nashberg, PA? 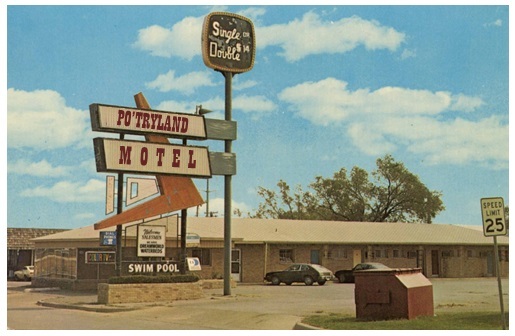 Stay in the beautiful Po'tryland Motel (pictured below on the left), visit the Homestoop, the former home of country poet Emmy Lee Dickinson (pictured below on the right), and attend a broadcast of the Grand Ole Po'try Radio Hour at the Rhymin Auditorium! Then drive up the road a bit to visit historic Washerst, PA, birthplace of America's greatest poet, Emmett Lee Dickinson (Emily Dickinson's third cousin, twice removed -- at her request). We hope to see you soon!